The U.S. Navy is joining other branches of the armed forces, including the Marines, the Army and the Air Force, and putting an end to its ban on dreadlocks for the women who serve our country. The Huffington Post reports that the Navy announced the lift on its ban during a live broadcast on its Facebook page on Tuesday. Many other styles, including ponytails and buns, will also be allowed under the new relaxed rules if they do not interfere with the female sailor’s operational or safety needs. Male sailors will still be required to keep their hair short, however. As HuffPo notes, Petty Officer 1st Class Jacqualynn Leak, who has worn her hair in dreadlocks since 2014, has been pushing to get the ban lifted, pouring over research on the cultural and health aspects of locs, as well as surveying several female sailors who have been impacted by the ban. “I wanted to make an argument so compelling that every reason my chain of command could give me for why dreadlocks were banned could easily be rebutted with facts,” she said, according to the news site. Leak would get by the rules by covering her shoulder-length locs with a wig, but that became more difficult as her hair grew. Some women in the Navy who had locks were subject to harsh punishments. Sims’ record had been spotless up until her discharge, and she had received no complaints about her hair—which she kept in a tight bun—until she was given orders to teach at a Navy boot camp in Illinois. She was told to cut her hair or wear a wig, options which she refused. 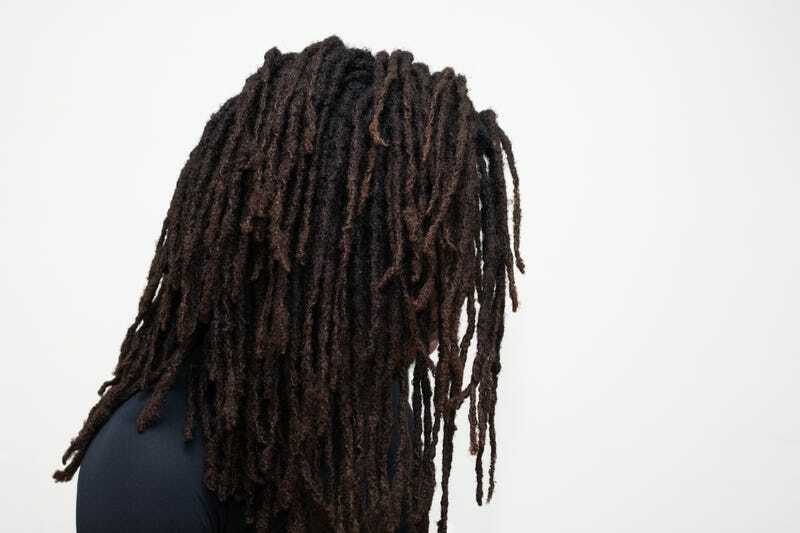 Four years later, the Navy is the last branch of the military to drop its archaic restrictions on dreadlocks, and for Leak at least, that is a huge win.